We are the exclusive retailer for many stunning bridesmaid dress lines, including Joanna August, Amsale, and Nouvelle Amsale. All of our dresses are selected from the top collections of world-class designers, so your ladies will look and feel gorgeous as they celebrate your day. This luxurious dress line is exclusive to With Love in Ottawa – choose from effortlessly glamourous styles in silk chiffon, chiffon, tulle, and sequin. Fun, fashion-forward dresses in a bold mix of colours, styles and lengths that are easily worn long after the “I Do’s” – found exclusively at With Love! Mori Lee offers flattering fits in an exceptional variety of chic, sophisticated styles designed to stand the test of time. 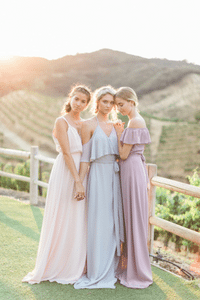 Nouvelle is the relaxed, boho line from Amsale, found only at With Love – perfect for the casual, value-conscious bride and bridesmaids. The Sorella Vita collection brings rich modern styles and details right from the runway to your wedding, at a surprisingly affordable price. 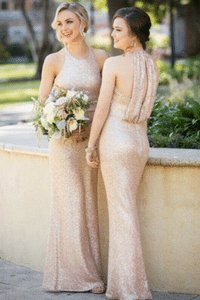 The Platinum Collection from Adrianna Papell offers an elegant and sophisticated selection of dresses for the modern bridesmaid with exquisite beading and a timeless colour palette.